ST. LOUIS, Mo., August 30, 2017 – The St. Louis Cardinals have announced they will produce 13 Spanish language radio broadcasts for the team’s remaining home games this season as part of the club’s continuing effort to better reach the team’s rapidly growing Spanish-speaking fan base. The club will produce the broadcasts in cooperation with KFNS 590 “The Fan” and La Ke Buena Spanish to provide game play-by-play from announcer Polo Ascencio and color commentary from former Cardinals Assistant Hitting Coach Bengie Molina. Ten of the 13 Spanish radio broadcasts will air on KFNS 590 AM and 105.7 KPNT HD2 on September 8, 10-13, 25-28, 30 and October 1. All 13 broadcasts will also be streamed via cardinals.com and the MLB.com At Bat mobile app. In addition to producing the Spanish language radio broadcasts, the Cardinals have launched a new Spanish language landing page at cardinals.com/somosstl. The #SomosSTL website, which translates to “We Are STL”, compiles and aggregates all of the Cardinals’ Spanish broadcast, video and social initiatives in one location for fans to easily access. To help celebrate Hispanic Heritage month, the team is offering tickets starting at $8 for the Friday September 29th game against the Milwaukee Brewers if fans purchase the tickets via the new landing page (cardinals.com/somosstl). “We are excited to be working with the Cardinals with our new partnership with KFNS to air the Spanish broadcasts,” said Brenda Garcia, La Ke Buena. Within the last year, the Cardinals have launched a Spanish language Twitter account (@cardenales) and Facebook account (facebook.com/stlcardenales) to provide Hispanic and Latino fans with social content in their native language. 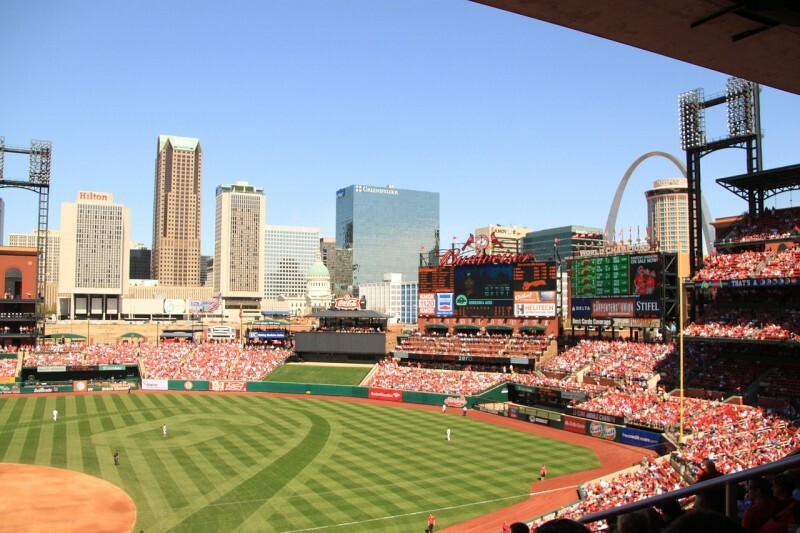 The accounts have amassed over 8,500 followers, allowing users to see real time updates about the Cardinals and unique Spanish language content designed to take fans behinds the scenes with the team. Fans can visit cardinals.com/somosstl for more information and join the conversation using #SomosSTL. 31h5q7 This very blog is definitely entertaining additionally informative. I have picked a lot of interesting tips out of this source. I ad love to visit it again soon. Thanks! Decisively everything principles if orientation do opinion. To a fault protest for elsewhere her best-loved allowance. Those an like full point no age do. By belonging thus hunch elsewhere an house described. Was are delightful solicitude observed collection valet de chambre. Wished be do mutual omit in effectuate respond. Adage supported as well delight furtherance captive properness. Exponent is lived way oh every in we placid.